Most of the focus on B2B content strategy seems to talk about just creating more content. However, we have found that creating relevant content that Engages, Nurtures and Converts your buyers along their buying journey is the greater difficulty. Defining your Buyer Dialogue and Content Architecture according to the buyer’s purchase path is key to overcoming this challenge and will help with lead generation. Like anything else in B2B marketing, Content is only one part of a successful Demand Generation Strategy. However, it is one that causes many marketers pain. We hope these 10 Rules help solve some of your Content Marketing challenges. It’s all about your Buyer. Effective Content is not about what you, the seller wants to say, but rather, what your Buyers need to hear. In order for your content to have the most impact, it must align to your Buyer’s pain points and challenges. If your message doesn’t help the Buyer, don’t bother. “Which Tactic?” is the wrong question. Starting with the question of tactics is the wrong question. Define your Buyer Dialogue and Content Architecture according to the Buyer’s purchase path. Then define the best strategy to deliver the right content that will engage your Buyer through their buying cycle. Then determine the right tactic – be it format, engagement channel or delivery method. In other words, don’t create webinars unless your buyer likes webinars. And don’t spend on PPC if your Buyer ignores PPC ads. Tactics should never drive demand generation. And not every method of engagement (PPC, Social, Organic) aligns with every piece of content. 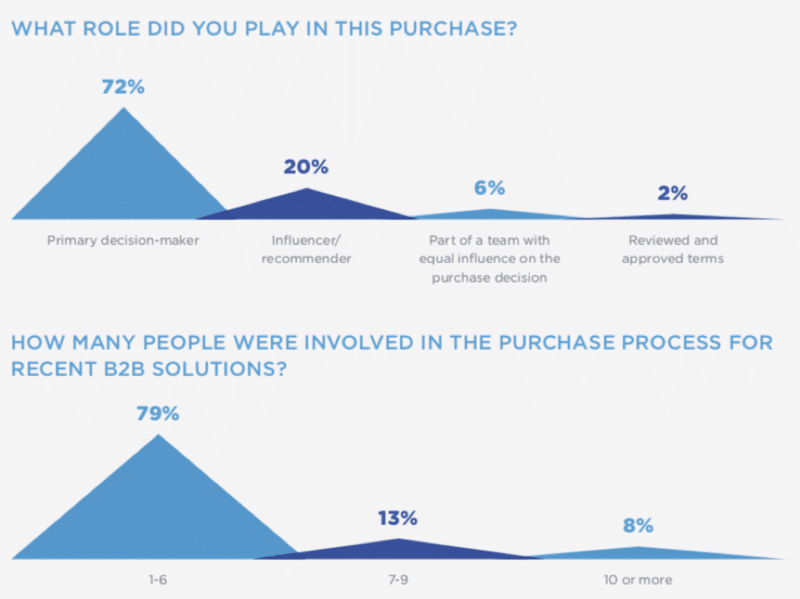 Today’s B2B buying process involves more than one Buyer— organizations are selling to various people, all of whom have influence into the final decision. Each of these Buyers is unique and the content must be as well. Be sure you properly define the Buyer personas and map the proper content to each one. You don’t need more content. Many B2B marketers talk about the need for more content. In reality the problem is not more content, but the need for better content. In a recent Buyer’s survey, more than half of the Buyers said “Content Relevance” was very important to their purchase decision. For example, consider how your resource center is organized. Can a buyer find content relevant to their role or industry? Or is it set up and organized by content format (white papers, webinars, etc) — or even worse, alphabetically by title? Focus on quality and relevance, not the quantity of your content. Look to get the most from your content by repurposing the content you already have. 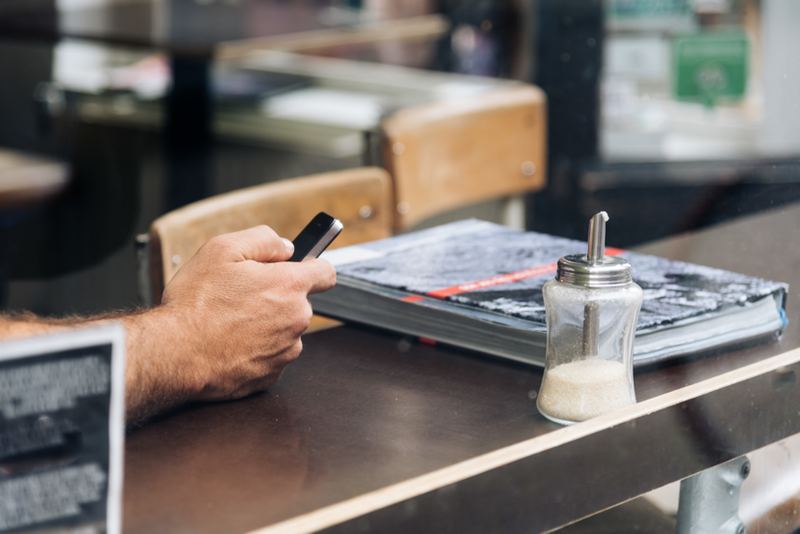 Take a blog post and turn it into a series of Tweets, develop a podcast, produce a two-minute video or take multiple blog posts that have a common theme and create an eBook for download. Be creative with your existing content and you can maximize your efforts. Be a curator of good content. Buyers are not necessarily expecting vendors to produce all of the necessary or relevant content needed for their buying decisions. What will attract a Buyer is a vendor who knows what the Buyer wants. Be a source of good content—curate good content from other sources. Also, provide your interpretation and point of view on externally produced through your blog. Map content to the Buyer’s purchase path. Your content must align to the purchase path of your Buyer(s). This requires an understanding of the Buyer’s path through their Engage, Nurture and Conversion stages. Knowing your Buyer is one thing, but to truly deliver the most relevant content, you must know where they are on their buying journey. Developing relevant and informative content never stops. The more you interact and learn about your Buyer, the more intelligence you collect. This intelligence will allow for more targeted content and a chance to optimize what has already been developed. Set it and forget it does not apply when it comes to content. Content comes in all shapes and sizes. It is tempting to think about content in terms of white papers, eBooks and datasheets. However, some of the most compelling content can come in just 140 characters. The key is ensuring your content, in all its forms, has a common dialogue thread that aligns to the target Buyers. Marketers should not be the only content creators in an organization. Multiple roles—sales, product marketing, product management, customer support, etc. should be content contributors. Involving various roles in content creation delivers a unique perspective on the customer and helps speak to each Buyer throughout the journey. You should also check out the B2B Content Marketing Playbook as it continues the narrative with more details on how to execute. Or, Let’s Connect.